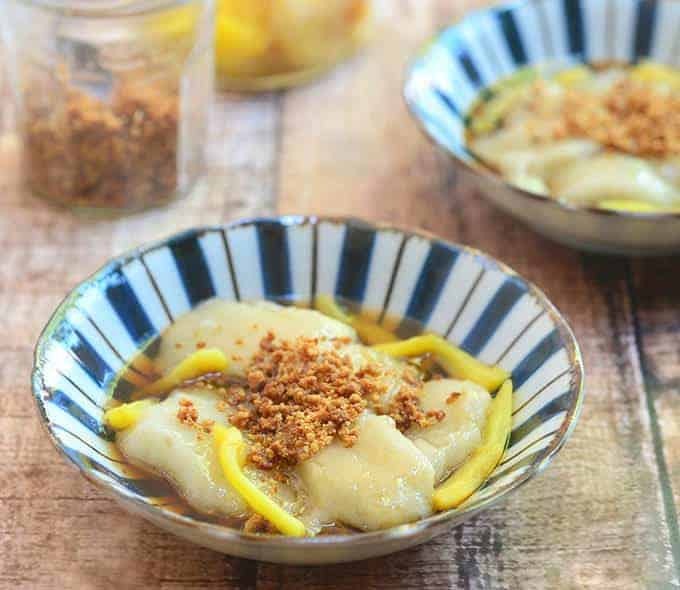 Kalamay sa Latik with sticky rice cake stewed in simple syrup, coconut curds, and jackfruit strips. Sweet, chewy and fragrant, this Filipino sweet delicacy is delicious for dessert or midday snack. 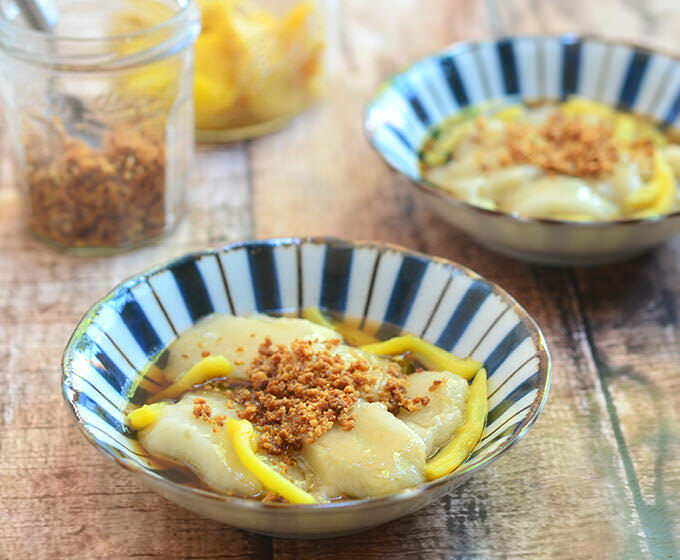 Have you tried my minatamis na langka recipe yet? 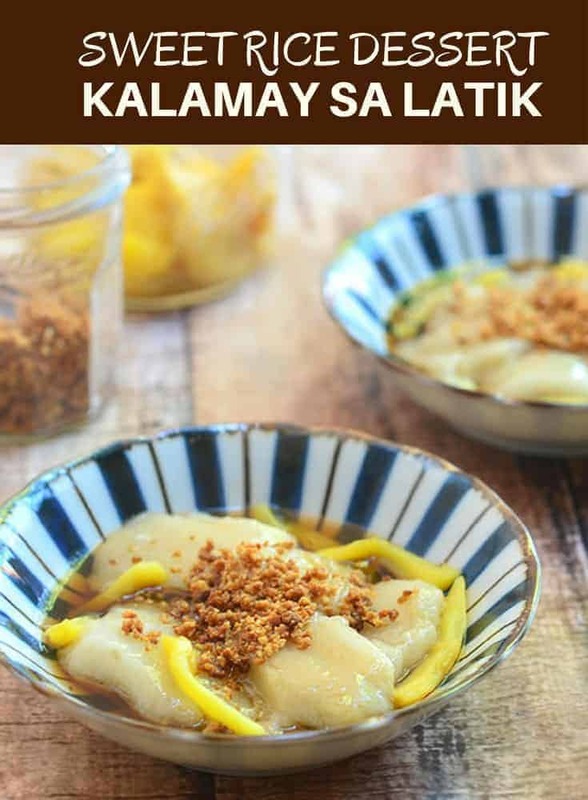 I hope you have because today, we’re going to be needing strips of sweetened jackfruit to make a delicious Filipino delicacy you’re sure to love. Yep, we’re making kalamay sa latik! 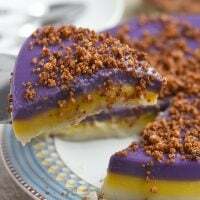 Kalamay sa latik is a type of FIlipino kakanin wherein a mixture of glutinous rice and coconut milk is steamed until set and of chewy consistency. 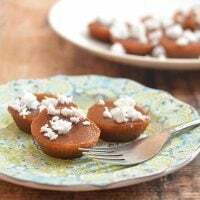 The steamed rice cake is then sliced into serving pieces and bathed in a caramel syrup with a generous sprinkling of coconut curds (latik) and strips of sweetened jackfruit for added sweetness and depth of flavor. 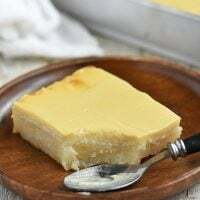 The recipe does seem complicated with a series of steps (the latik, the kalamay, the syrup, the minatamis na langka) to pull it together but don’t let this deter you. The process is pretty simple to complete and in less than one hour, you’ll have a sweet, gooey and super yummy dessert to enjoy. Just remember to line the steamer basket with cheesecloth as the steamed cake can get pretty sticky and hard to remove. Give this kalamay na latik a try and let me know what you think. Lower heat and continue to cook. As oil starts to separate and solids begin to form, regularly stir and scrape sides and bottom of pan to prevent from burning. Continue to cook and stir until curds turn golden brown. Drain latik from the oil and store in a container until ready to use. Wash pitted jackfruit and drain well. In a sauce pan over medium heat, combine water and sugar. Bring to a boil, stirring regularly until sugar is dissolved. Add jackfruit and continue to cook for about 3 to 5 minutes or until syrup is thickened (the longer you cook, the thicker the syrup). Remove from heat and allow to slightly cool. Shred pieces into thin strips. 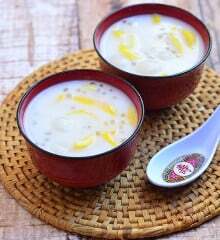 In a bowl, combine glutinous flour, coconut milk and sugar. Stir well until smooth and well-blended. Brush a baking pan with oil. Pour batter into dish and set the dish in the steamer basket. Steam for about 10 to 15 minutes or until mixture is set and a toothpick inserted comes out clean. Remove from heat and allow to completely cool. Remove cheesecloth. Transfer the rice cake to a cutting board and slice into about 1-inch pieces. In a sauce pan over medium heat, combine water and dark brown sugar. Bring to a boil, stirring regularly until sugar is dissolved. Continue to cook until reduced and thickened. Add kalamay pieces to the sweet syrup. Simmer for about 1 minute. Divide into serving bowls and sprinkle with latik and jackfruit strips. Serve warm. Hi i just wanna ask if how long it will last or the max.time of shelf life on it.thank you and do have any idea if how its gonna be long last. For sharing the recipe. This kakanin is my favorite. I usually buy the Thai one that comes in plastic bag. I think the print is in green while the regular rice flour is red. I’m wondering whether the mixed glutinous rice won’t stick on the cheesecloth. Thanks. 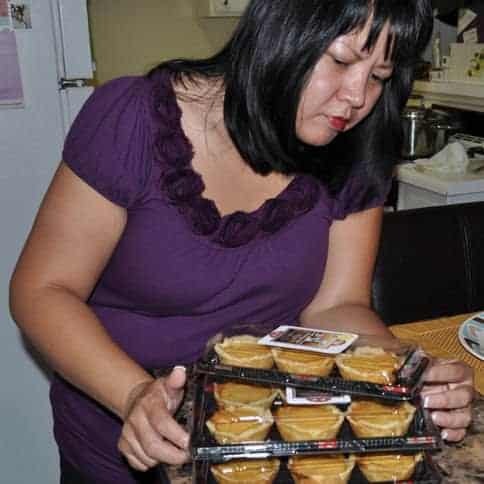 Can I use the canned Langka in a syrup? I can’t find a fresh Langka in my area. I just started following you a few weeks ago and I’m hooked. 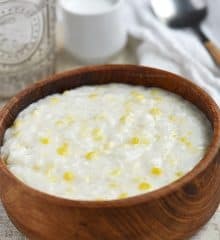 I love your recipes, simple to make/follow and delicious. Oh my! Hubby’s favorite. 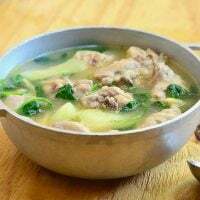 This kakanin is very popular in Nueva Ecija. My hub’s province. I’ll save this recipe for later use. Love the new header. Thank you for the recipe! i love your new design..it’s clean and simple, modern yet still has that touch of warmth. please keep the recipes coming..